To be honest, what makes you think of Siem Reap day tours? I guess most answers would be the Angkor Temples – one of the world’s foremost ancient sites recognized by UNESCO. It extends over approximately 400 square kilometers and consists of scores of temples, hydraulic structures (basins, dikes, reservoirs, canals) as well as communication routes. 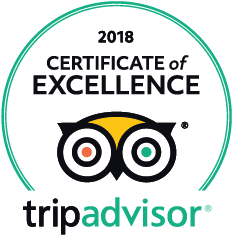 So many of the travelers do not have enough time to explore the whole complex; rather than that, they just focus on some must-see main temples such as the Bayon, Ta Prohm, Banteay Srei, Preah Dark, Rolous Group, etc. Then they would like to see different things that this city offers. And I promise you that this land has plenty of charms you want to know away from the temples. Tonle Sap is the largest body of water in Southeast Asia. Its location, which is almost in the middle of Cambodia, is 15km to the south of Siem Reap city. 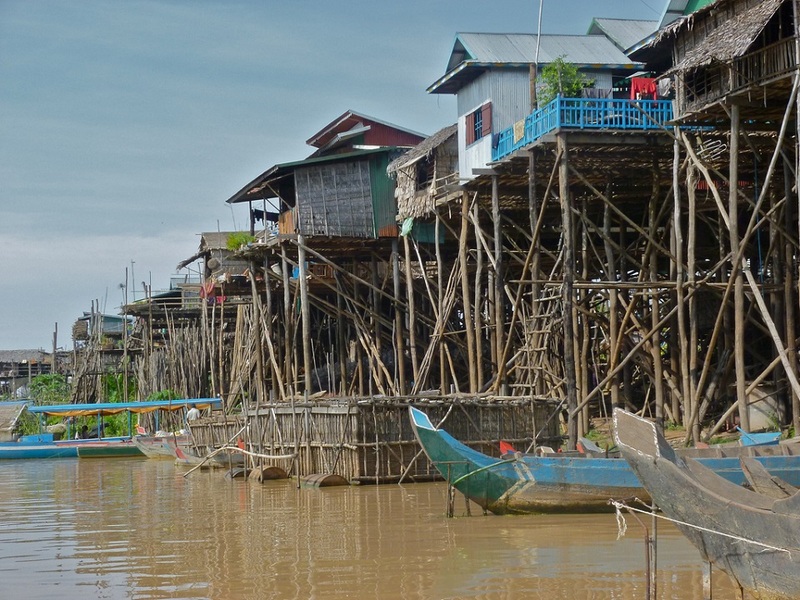 It is the home of a lot Cambodians who live in floating houses, go to floating schools, floating police station. Basically, their daily life is conducted right in the water surface of the lake. Chong Kneas is now getting more crowded with Asia group tours and commercialized for modern tourism trend. Mass! That is why others are highly recommended which are Kampong Phluk and Kampong Khleang. The first one is like a good alternative for Chong Kneas; while the later one is for ones who like off-the-beaten-track path. It is because Kampong Khleang is located around 55km of the Siem Reap center and since not many tourists come here. It remains being untouched, authentic and peaceful. With the population of more or less 1800 people, this village offers dozens of wooden floating houses, three pagodas and even its own clinic. One tip for those who fall for sunset, you may want to start the tour in the afternoon (around 2-3 pm) to catch the stunning sunset on boat. Good news is that everything can be offered in a Siem Reap tour package. What you need to do is to take time and experience the life of local floating villages in Tonle Sap. From long time ago, the local Bunong people had used elephant as worker/helper for transporting people, heavy goods as woods and for farming. Later, with the development of technology, automobile/motorized vehicles were there to replace and elephants only “work” in farm or were ridden in tourism. It is too, not acceptable in a world of peace and humanity; thus more and more elephant care centers and sanctuaries are built to protect wildlife of elephants and also raise the awareness of the society. 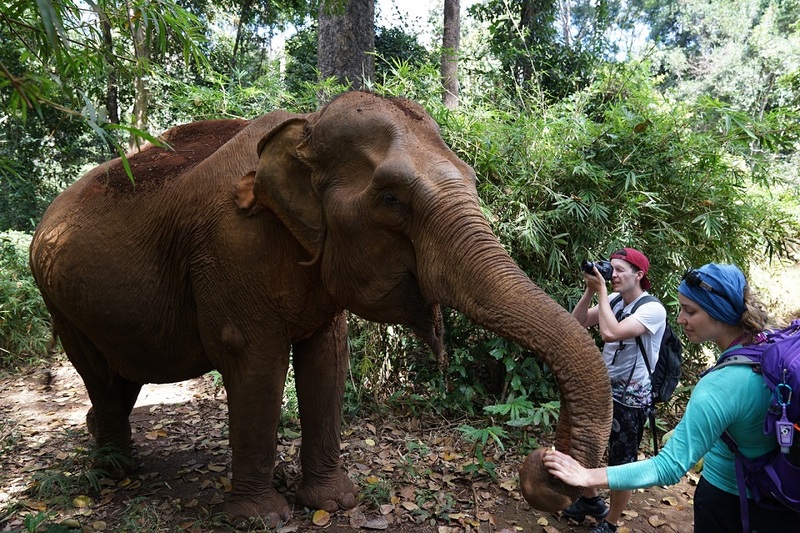 If you want to join a hand in this long-term project, you will have an amazing time with hiking/trekking through the jungle to witness the natural habitats of elephants; basically watch them being themselves. 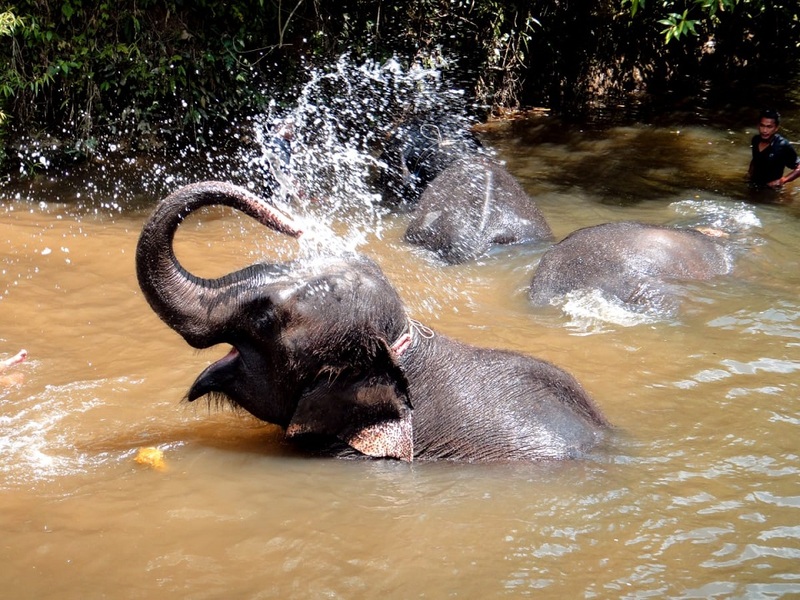 Another highlight in your Siem Reap day tours is swimming at the waterfall and washing the elephants. With the distance of 50 kilometers northeast of Siem Reap, it takes about one hour to reach Kbal Spean. It is up in the Kullen Hills, you can combine with Banteay Srei & the lost cities of Mahendraparvata. You will have to do a short hike through the jungle in about 30-40 minutes with Cambodia Highlight 11 days tour. It is so called River of a thousand lingas which is believed to branch out as a tributary of the Siem Reap River. Gods, animal figures and other Hindu mythological characters have been beautifully carved along the river bed. That is why you may think of Cambodia with its glorious past and people for a lifetime. 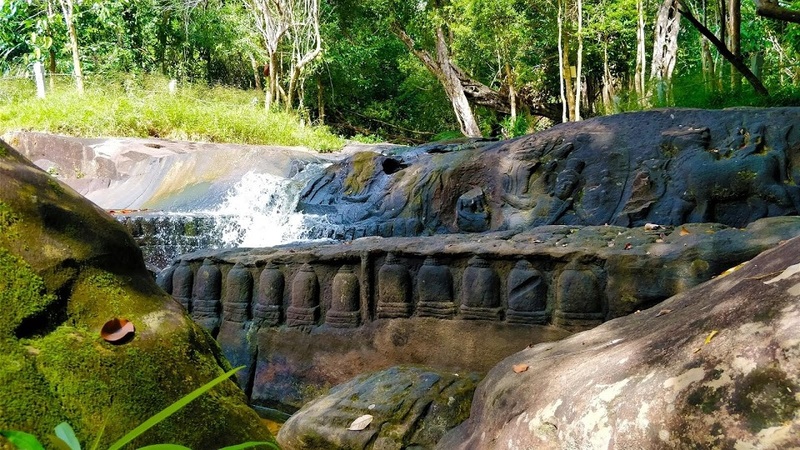 Here lies a small waterfall and ancient tradition referred that the water dropped over the carvings was blessed; thus is providing a spiritual drinking experience for residents of the Angkorian capital. Travelers visiting the place should bring swimsuit since it is allowed to join the water and cool down. It is believed that waterfall sprinkling on you is giving blessing. Quad bikes seem to be more appealing for those who are into adventure; but in Cambodia, even kids under 18 years old can do the tour (with parents). The Quad bike adventure in Classic glimpse of Siem Reap 4 days tour will take you through the road less traveled in rural villages and communities. It includes a visit to the local orphanage and school in which there are about 57 orphans living and learning in the center; then a visit to one of non-touristic temple (Prei Monti Temple) built in the 9th Century. Rice fields, local farms, etc. are passing your eyes. If your Siem Reap day tours in the right time, you may have chance to stop and witness the rice plants being planted or harvested. Riding the ox-card also quite a fun experience. 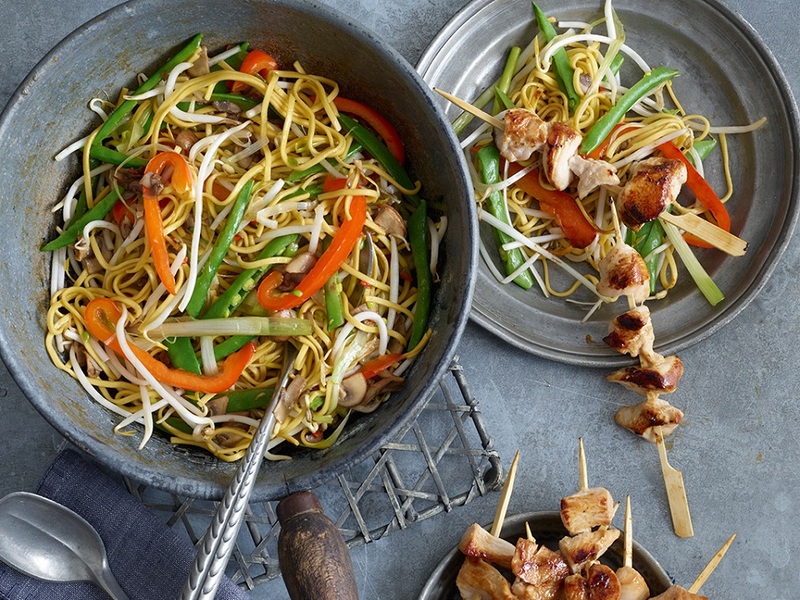 Like many other countries in South East Asia, Cambodia food contains much of the classic Khmer recipes reflecting the rich culture and history over the years. Normally, the street food is operated with driving motorbike/vespa or tuktuk to a few food stalls, fruit markets, etc. Some of the street food in Cambodia you must try are beef Sausages (Sacrok Ko in Khmer); the Khmer sticky rice in bamboo (Kralan); Khmer sandwich (Num Pang); Cambodian Short Stir-Fried Egg Noodles (Lort Cha), etc. So in general, Siem Reap tours are not boring at all with just temples and pagodas and temples again. 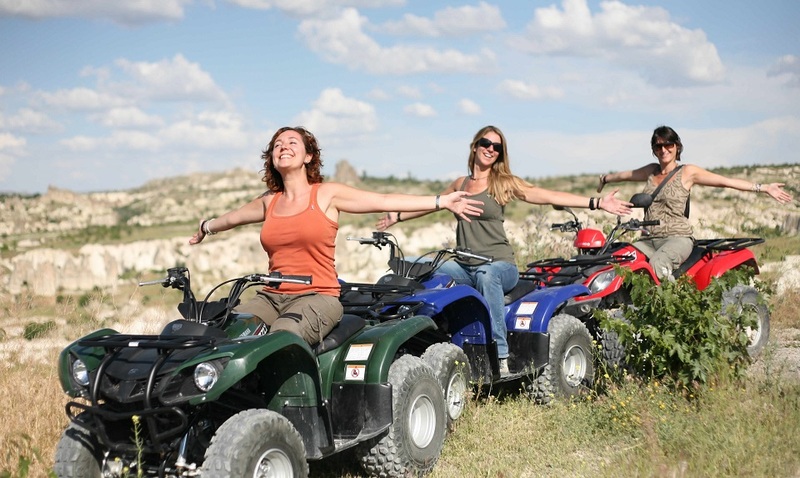 If you have a further look at the surrounding area, you will see many different ways to enjoy the country. 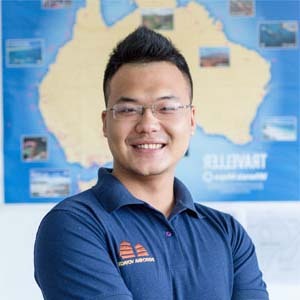 Or else, contact Indochina Voyages, our travel consultants are always available and willing to bring you to the most interesting spots during your Cambodia tours.